Why an Intimidator UTV is the Best Buy | Intimidator Inc. If you're in the market for a side by side UTV, you want the best UTV for your money. Intimidator is what you are looking for. 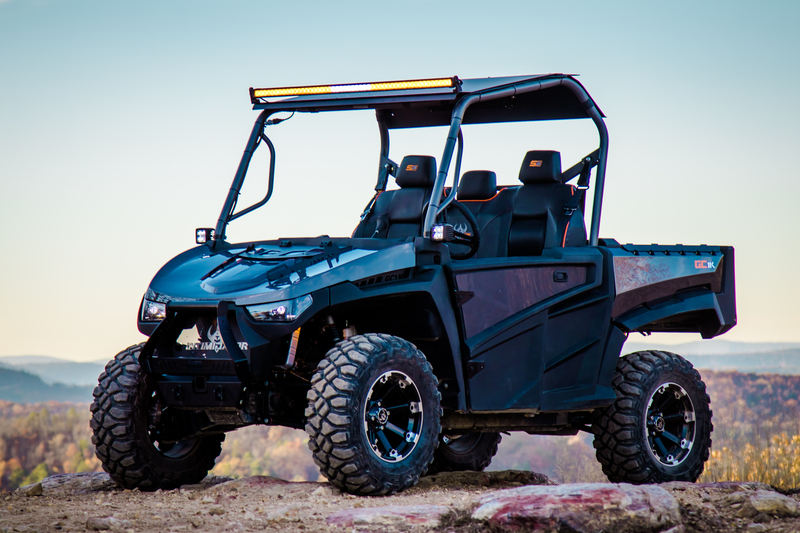 Purchasing a high-quality utility vehicle is not a frivolous purchase, and you want to make sure that you are getting the best side by side UTV on the market. We take great pride in providing a top quality machine built right here in the USA. Quality is our main focus, and after years of research and development our team has made and continues to improve upon one of the highest quality UTVs on the market. Intimidators are built to last, which is vital when purchasing a machine of such high caliber. You want it to be able to handle whatever work you need it to do year after year without having to make high dollar repairs. Intimidator is ready. Intimidator UTVs are not only American made, they are also made with superior quality oversized components. This ensures they are easy to maintain, easy to customize, and are extremely durable. When you purchase an Intimidator, rest assured it is ready for anything the farm, the woods, or mother nature can throw at it. Our Classic Series machine comfortably seats 3 adults, has plenty of accessories available to customize it for hunting or working the land, and is available with a gas, diesel, or electric engine. Intimidator Crew Series is made for bringing along family and friends, comfortably seating 6 adults with room for gear. The Intimidator Truck Series is our workhorse that comfortably seats 3 adults and features an aluminum bed with drop sides to be able to easily accommodate whatever load you need to haul. No matter what series you are interested in, know this...Intimidator is ready to work hard or play hard. Intimidator is a family owned and operated company. This means that we care about our product and that our talented employees are either literally family or are like family to us. When you purchase an Intimidator side by side, you become part of our family as well. You can also check out our side by side comparison where we compare Intimidator UTVs with other top-selling side by sides on the market. For more information on our Made in America UTVs, use our convenient dealer locator to find a dealer near you. Our ever growing network of friendly and knowledgeable dealers would love to assist you in any way they can.